Indian Railways has been upgrading its services across a wide spectrum of areas by offering facilities like entertainment, cleanliness, amongst others. Indian train travellers can look forward to airport like facilities as the Railways Ministry plans new upgrades. In what seems to be an attempt to compete with the roadways and aviation sector, the ministry is offering many new facilities both at the stations and on trains. Indian Railways has been upgrading its services across a wide spectrum of areas by offering facilities like entertainment, cleanliness and amenities that make train rides comfortable. Indian Railways, with the introduction of Tejas Express, gave passengers the opulence of personalised entertainment for the first time, similar to those on international flights. Tejas Express trains and Anubhuti coaches (luxury coaches) in the Shatabdi Express trains have LCD screens in the coaches meant for passenger entertainment and information. Along with this, these trains also offer personalised reading lights and attendant calling buttons, matching with the comforts offered in aircrafts. Even the newly introduced Vande Bharat Express offers aircraft-style diffused lighting. In a bid to ensure efficient flushing, the Indian Railways is looking to install bio-vacuum toilets in the trains. While bio-toilets are already fitted in all the train coaches of Indian Railways but the ministry is now focusing to install the vacuum system (similar to those in aircrafts) to check if it helps to eliminate foul smell effectively. One of the unique features of airports is the inclusion of retail areas that offer the passengers surplus options to shop from in its premises alone. Indian Railways, in an attempt to offer the best of facilities to its passengers, is revamping several stations across the country. The latest stations to be added to this list are Habibganj and Gandhinagar stations in Madhya Pradesh and Gujarat, respectively to provide the passengers world-class amenities and airport-like feel. Additionally, Indian Railways has also decided to provide LED lighting to 690 stations, out of which few are already benefiting from this feature. 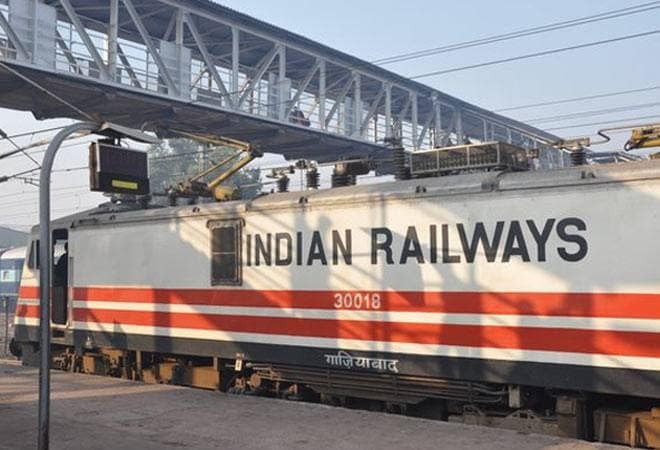 Indian Railways has introduced on-board shopping feature, similar to those in aircrafts allowing the passengers to shop for various cosmetic and FMCG products. Primarily, 16 trains have been identified for this pilot project. Depending on the viability and success of this project, this feature would be introduced to other trains as well. Considering streamlining the flow of passengers, Indian Railways is aiming to experiment with an airport-like entry model, wherein passengers are required to enter at least 20 minutes before the departure of a train. In an attempt to avoid last minute rush at stations, the installation of airport-like security checks at stations is being considered by the national transporter.Recently, Railway Minister Piyush Goyal launched an airline-like transparent reservation system where the passengers can check the real-time reservation status in a train.